Usually when we copy a the content of table from pdf to word and excel, the format will be plain not formatted as a table. This post will show how to overcome this problem. 1. 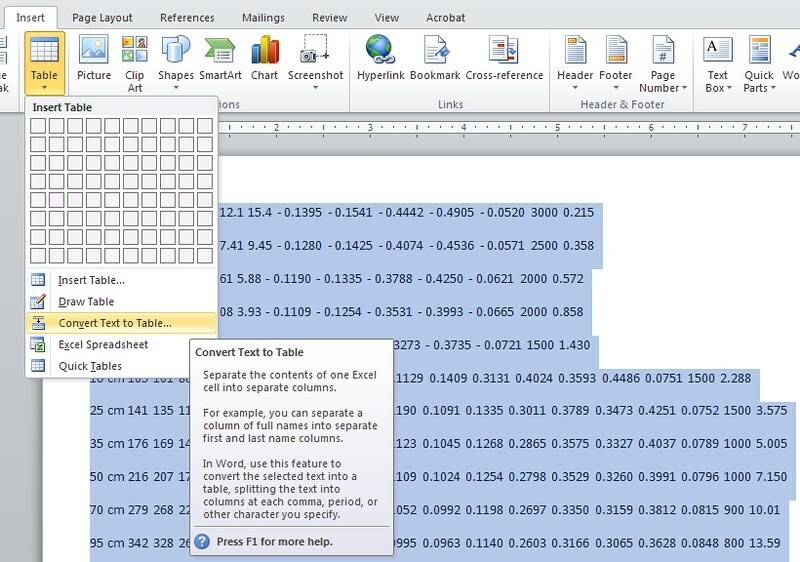 Open PDF file, select only the content of the table, excluding the table header. And make sure the number of column is the same for every row you copy. 3. 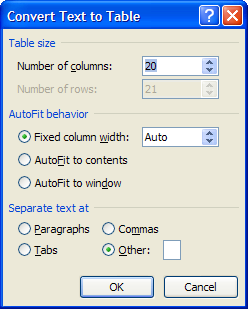 On Convert Text to Table window -> choose Other option -> on Separate text at, fill with blank space. After formatted into table in Word, you can then copy to Excel. I'm an engineer and working in engineering consultant office. I have some experience in computer application in graphic design (CorelDRAW, Inkscape, GIMP), AutoCAD, and Office. I also like to read technology news.